Complete listings of finalists and semi-finalists in The American Prize competitions may be found on our blog. Please scroll down for winners and runners-up in earlier competitions. 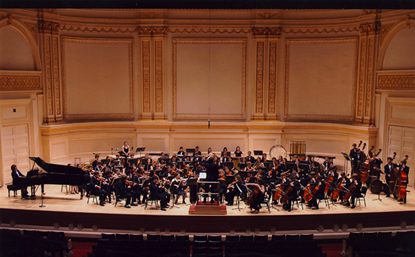 The Park Avenue Chamber Symphony's performances have been acclaimed by critics nationwide. 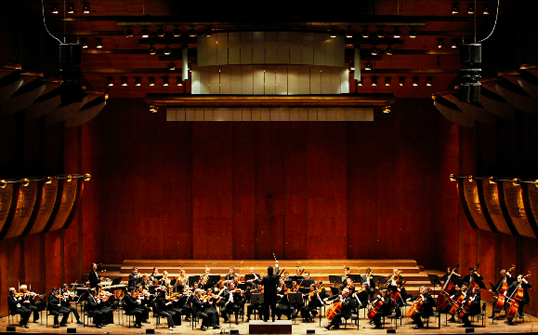 Through its fundraising efforts, the Park Avenue Chamber Symphony has helped establish a new Scholarship Fund for students at the Juilliard School's Pre-College Division, as well as support The Harmony Program—a New York City organization that provides music lessons to economically disadvantaged children and is modeled after Venezuela's world-famous model of music education, "El Sistema". 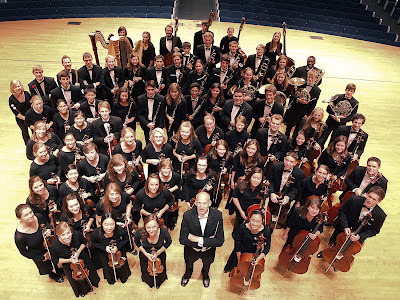 The 92-member St. Olaf Orchestra is one of the premier ensembles at St. Olaf College, a four-year liberal arts college known for its excellence in music, math, and the sciences. 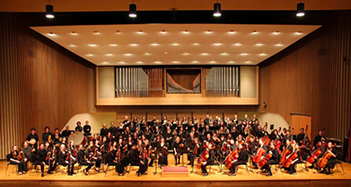 The St. Olaf Orchestra has a 100-year plus history, and has been touring annually since 1949. For the past three decades, Professor of Music Steven Amundson has led the Orchestra on tours throughout the U.S. and in a dozen countries, most recently in China. The ensemble has been featured on NPR, PBS, at regional and national MENC (NAfME) conventions, and on Garrison Keillor's A Prairie Home Companion. Recognized for its passionate and engaging performances, the St. Olaf Orchestra strives for the highest professional standards. The orchestra program at St. Olaf features two full symphonies and over 120 string students that take weekly private lessons. 65% of the students in St. Olaf Orchestra major in music. 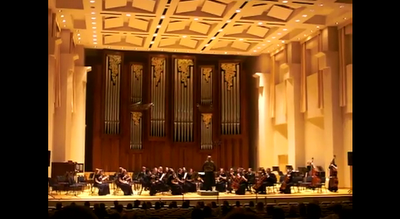 All members of this orchestra are full-time undergraduates, and they represent 25 of the 50 United States. Praised by the New York Times for its "Youthful exuberance," the Mannes Orchestra performs a comprehensive symphonic repertoire each year ranging from classical to modern, and collaborates with the Mannes Opera in two productions at the Kaye Playhouse. 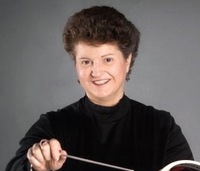 Guest conductors who have led concerts or readings in recent years include Kurt Masur, Philippe Entremont, Paul Nadler, Leonard Slatkin, and Mannes graduates Yves Abel and JoAnn Falletta. The Mannes Orchestra makes nine public performances every season with David Hayes, Director of Orchestral and Conducting Studies, appearing at Carnegie Hall, Alice Tully Hall, Salvation Army's Centennial Memorial Temple, Symphony Space, the Kaye Playhouse, and at Mannes College Concert Hall. INSERT TEXT HERE, ADD TWO "BR/" BREAKS FOR SPACING, LOOK AT HTML CODE. 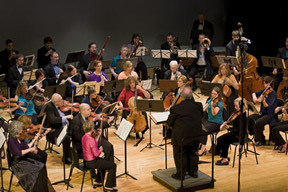 The Oconomowoc Chamber Orchestra, a parent organization with two orchestras (Professional & Avocational), a Music Appreciation Series, and a historical instrument project, is in it's third season, preceeded by a year of planning. 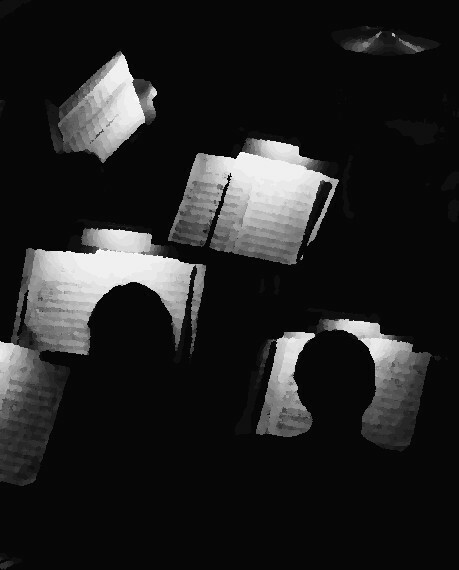 The Community Orchestra (LCO) performs 4 concerts per year, and The Score Came Second… series is a Music Appreciation/Performance program, featuring guest artists. The OCO's Debut Concert featured two compositions for Lake Country, a brilliant Paganini Violin Concerto, Copland's Fanfare for the Common Man, and Beethoven's Fifth Symphony. The concert was recorded and recently released (CD and DVD) incorporating video, photographic, aerial, and artistic images. Since its founding in 1999, the Park Avenue Chamber Symphony has built a loyal following, both in New York City and worldwide through its extensive catalog of recordings on iTunes, Naxos/ClassicsOnline, Amazon and Spotify. 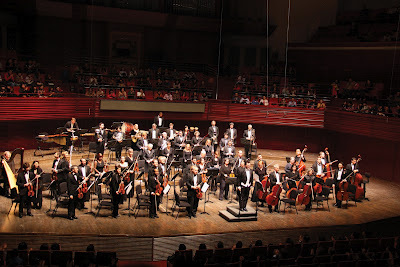 Most recently, the Park Avenue Chamber Symphony performed a 9 city concert tour of the People's Republic of China. The Park Avenue Chamber Symphony's performances are acclaimed by New York Critics as "Triumphant...polished…exquisite…with a strong sense of style and commitment…with the depth and fervor of the old school European orchestras." 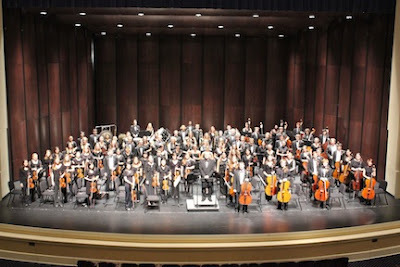 The Springfield-Drury Civic Orchestra (SDCO) is southwest Missouri's regional community orchestra. Founded in 2005, the 100-member ensemble comprises a combination of Drury students, students from most of our region's universities, professional performers and educators, and dedicated community members (ages 15-75). Now beginning its 7th season, the SDCO presents a yearly 3-concert season of orchestral masterworks—all free and open to public. 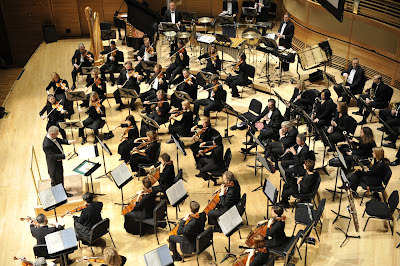 The Lamont Symphony Orchestra (LSO) is the resident orchestra of the University of Denver's Lamont School of Music. 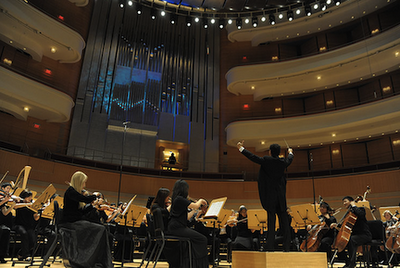 It performs 7 symphonic concerts and 2 fully-staged opera productions each year. 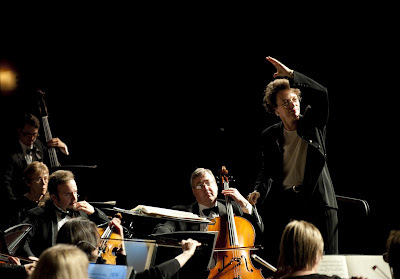 Under the leadership of its Music Director and Conductor Lawrence Golan, the LSO has won an ASCAP Award for the Adventurous Programming of Contemporary Music 6 out of the last 8 years. 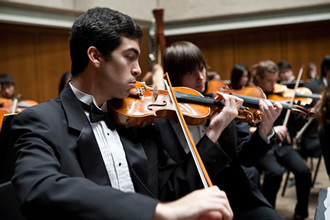 In addition, Golan and the LSO have won Downbeat Magazine's award for Best College Symphony Orchestra twice, in 2003 and 2012. 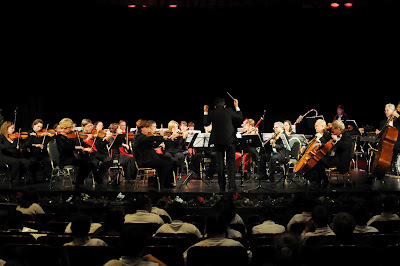 The Orange County Youth Symphony Orchestra, now in its 42nd season, is the official youth orchestra of Orange County. Conducted by Music Director Daniel Alfred Wachs, the non-profit OCYSO provides the highest level of pre-professional orchestral training for young musicians in Southern California. 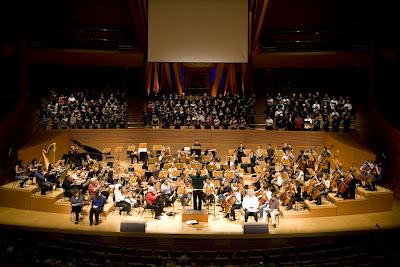 OCYSO's mission, to introduce great music into the lives of young people, is fulfilled in part through its highly acclaimed "Concerts for Fifth Graders," in the Renée and Henry Segerstrom Concert Hall at the Orange County Performing Arts Center. 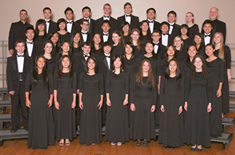 Additionally, OCYSO presents a concert series in the historic Memorial Auditorium at Chapman University. 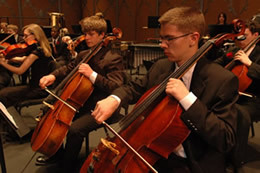 Arlington High School is located in LaGrangeville, NY and Philharmonia is the most advanced of the four orchestras in the school and was the grand champion winner of the ASTA National Orchestra Festival in March 2012. 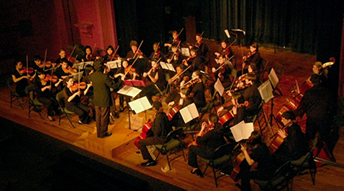 The program consists of one ninth grade string orchestra and three symphonic orchestras for students in grades 10-12, of which Ms. Elizabeth Handman and Mr. Jonathan Handman are the directors. In total, the program has over 250 string students and 75 wind/percussion members that join the strings every other day as their second ensemble in addition to the band program that they are members of. 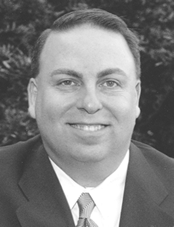 Arlington Central School District's High School Principal is Dr. Brendan Lyons. 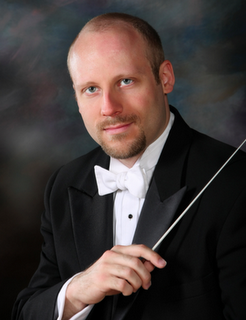 Dirk Meyer (DMA) holds the position of Associate Conductor to the Sarasota Orchestra. Meyer's current season includes debuts with the Toronto Symphony, the Duluth Superior Symphony and the Springfield Symphony, as well as return engagements with the Orlando Philharmonic. Other engagements included the Naples, Mason and Traverse Symphony Orchestras as well as the Florida Orchestra and the Missouri and Jackson Symphony Orchestras. Possessing a passionate interest in the music of our time, Meyer published his book Chamber Orchestra and Ensemble Repertoire. A Catalog of Modern Music in 2011. He is actively involved in the commissioning and performance of new music. Lawrence Golan, 3-time Global Music Award winner, is currently in his second season as the Helen N. Jewett Music Director of the Yakima Symphony Orchestra. In addition, he is a tenured full professor at the University of Denver's Lamont School of Music where he is Music Director and Conductor of the Lamont Symphony Orchestra and Opera Theatre. 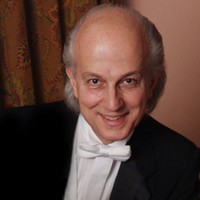 Golan guest conducts professional orchestras, opera, and ballet companies in the United States and around the world. Having conducted in 25 U.S. states and 16 countries, recent engagements include performances in Boulder, Macon, Memphis, Tucson, China, Czech Republic, Italy, Korea, and Taiwan. Steven Lipsitt is recognized for his technically and expressively balanced interpretations. The New York Times' Allan Kozinn described his work as "compelling" while The Boston Globe's Richard Dyer called it "an impressive demonstration of talent and discipline." 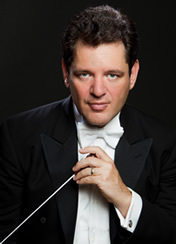 Now in his thirteenth season as Music Director of the Boston Classical Orchestra, Lipsitt has conducted orchestras in Russia, Greece, Brazil, China, the Czech Republic, Canada, and the U.S., as well as Scottish Opera, the Kennedy Center Opera House, Boston Lyric Opera, the Boston Pops, and Boston Ballet. 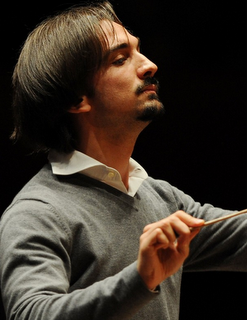 Lipsitt won first prize at the inaugural "Dimitri Mitropoulos" International Conducting Competition, and first prize at the Marienbad "Georg Tintner" Mastercourse. Music Director of New York City's Park Avenue Chamber Symphony, DAVID BERNARD has performed in more than 20 countries on four continents. His incisive performances have been heard in many of the city's most prestigious venues, among them Carnegie Hall, Lincoln Center for the Performing Arts' Avery Fisher Hall and Alice Tully Hall and The Riverside Church, as well as on radio stations WNYC and WQXR and telecast on WCBS. 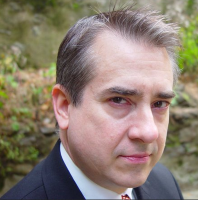 He and his work have been profiled in Symphony Magazine, PlaybillArts.com, The Juilliard Journal, New York's Daily News, The New York Times and The Wall Street Journal. 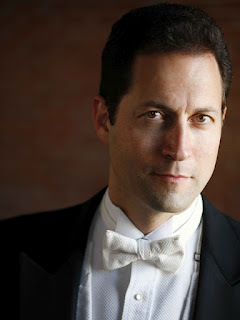 David Bernard led the Park Avenue Chamber Symphony on a nine-city tour of the People's Republic of China and has appeared as a guest conductor with the New York Symphonic Arts Ensemble and the Putnam Symphony. 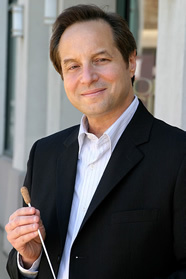 David Bernard's discography includes 17 albums spanning music from Vivaldi to Copland, and released on Amazon.com, iTunes, Napster and Rhapsody. 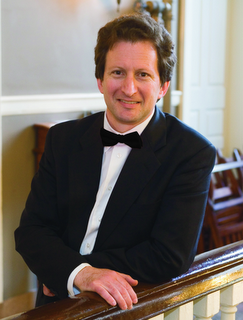 David Bernard is a pianist and harpsichord/continuo player, and often leads Baroque works from the keyboard and performs in the dual role of soloist and conductor. He has also prepared a new edition of Mendelssohn's Symphony No. 1 and written a textbook of music theory, The Structural Principles of Music. Mr. Bernard lectures on musicology, music history and musicianship, most recently "Musicianship in Performance," an exploration of the decisions made when creating performances. 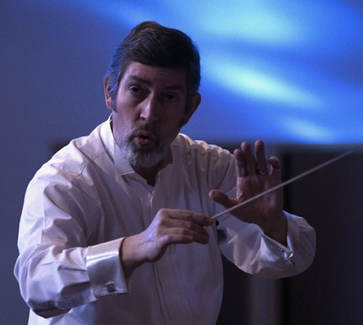 Prior to the 1999 founding of the Park Avenue Chamber Symphony, David Bernard served as Music Director of the Stony Brook University Orchestra, the Gilbert and Sullivan Light Opera Company of Long Island and Theater Three. 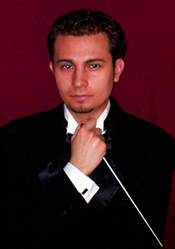 He also held the post of Assistant Conductor of both the Jacksonville and Stamford symphony orchestras. 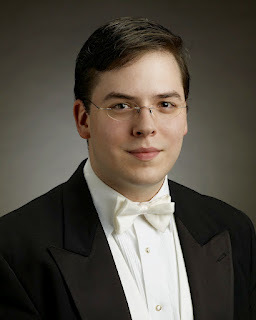 David Bernard is an alumnus of The Juilliard School, Curtis Institute of Music, Stony Brook University, The Tanglewood Music Center and Saratoga Performing Arts Center, and studied with Sergiu Celibdache, David Lawton, Roger Nierenberg and Arthur Weisberg. 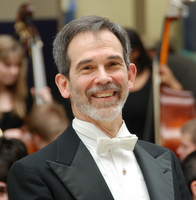 Dr. David Rudge is currently Director of Orchestras and Opera at the State University of New York at Fredonia, and Music Director of the Orchard Park Symphony Orchestra. 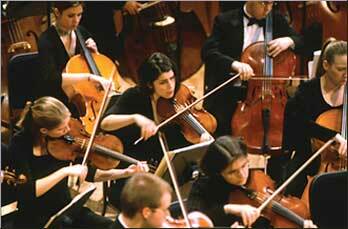 He has conducted orchestras and operas in Europe, Africa, the Middle East, South and Central America. He was a Senior Fulbright Fellow, an International Artistic Ambassador with the U.S. State Department, a two-time winner of the International Opera Conductors' Competition in the Czech Republic, and has worked with such soloists as Mark O'Connor and Yo Yo Ma. 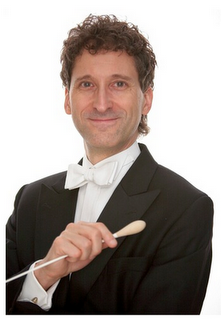 He has taught conducting in Guatemala, Syria, Taiwan and at the Bard College Conductor's Institute. Michael Webster is professor of music at Rice University's Shepherd School of Music and artistic director of the Houston Youth Symphony. Formerly principal clarinetist with the Rochester Philharmonic and the San Francisco Symphony, Webster has appeared with many orchestras, string quartets and festivals spanning North America, South and Central America, Europe, Australia, New Zealand and Japan. He has been on the clarinet and conducting faculties of Eastman, New England Conservatory, and the University of Michigan. 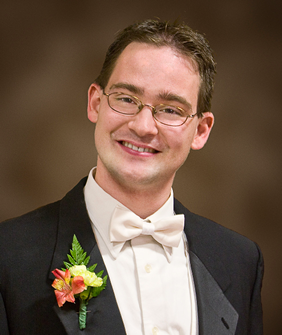 James Feddeck is currently in his third season as Music Director of the Cleveland Orchestra Youth Orchestra and Assistant Conductor of The Cleveland Orchestra. In June 2012 he will be leading the youth orchestra on their first international tour to Prague, Vienna, and Salzburg. He made his debut with The Cleveland Orchestra in August 2009 at the Blossom Music Festival and in March 2011, stepped in at the last minute to conduct the Zurich Opera's production of Mozart's Don Giovanni in Cleveland to critical acclaim. 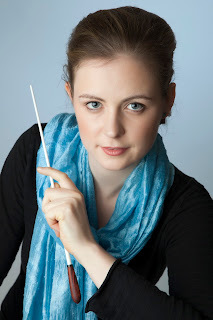 Recent conducting engagements include the orchestras of Atlanta, St. Louis, Charlotte, Toledo, Omaha, Grand Rapids, and the Kennedy Center Opera Orchestra. He is a graduate of the Oberlin Conservatory of Music where he was admitted in four areas: piano, oboe, organ and conducting. 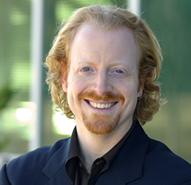 Jonathan Handman, conductor and cellist is a co-founder and Artistic Director of the Stringendo Orchestra School of the Hudson Valley and is an orchestra director at Arlington High School in Poughkeepsie, NY. At Stringendo, he directs two orchestras, Vivace and Mazurka, and at Arlington he is the conductor of two symphony orchestras and directs an extensive chamber music program. 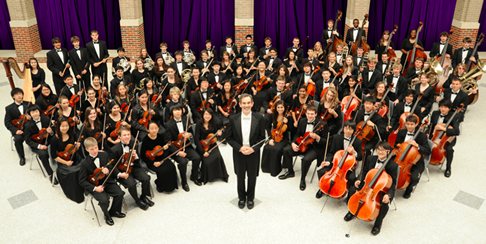 In each program, his orchestras have won the Grand Champion prize at the ASTA National Orchestra Festival. Mr. Handman was Oberlin Conservatory's invited guest speaker, representing the decade of the 1990's, celebrating its 100th year anniversary of Music Education. 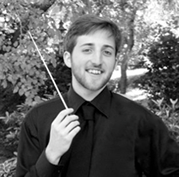 Jonathan's studies include The Eastman School of Music (Trombone performance), The Oberlin Conservatory (B.A. 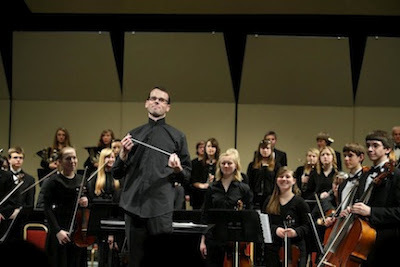 in Music Education, Cello) and an M.A in orchestral conducting from SUNY Fredonia. For more about the Vytautas Marijosius Award, please click this link. 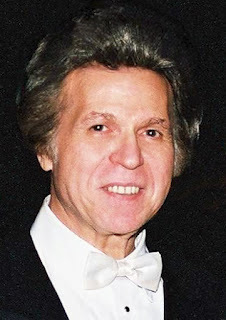 From David Katz, chief judge: "The second annual contest for The American Prize in Orchestral Programming—Maestro Vytautas Marijosius Memorial Award, attracted some of the country's most persuasive and creative music directors—individuals who would be no more likely to program a concert with a standard overture followed by a standard concerto, followed by a standard intermission, followed by a standard symphony as they would be to conduct standing on their heads. These are music directors who recognize program-planning as central to the growth of their ensembles, the enrichment of their audiences and the future of the art. Yakima, WA for "A Titanic Season"
Sanford, NC for "The Elements"
New York, NY for "Mahler: Aspects"
Richard Chiarappa is the founding music director and conductor of the West Hartford Symphony Orchestra of Connecticut (2002). As a composer, he completed his first opera in August, 2011, titled The Miraculous Staircase. His work prior to that was "Uncle Sal's Cello," a piece for orchestra and narrator. That was preceded by "The Gettysburg Address" for orchestra and narrator, published by Robert Wendel Music of New York City. 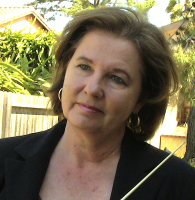 Chiarappa studied orchestral conducting with Vytautas Marijosius at The Hartt School. Since 1979 he has been a faculty member at the Kingswood Oxford School in West Hartford. His music can be heard at www.cmpub.com. Washington, DC "Veterans Commemoration—Healing for the Nations"
For winners of the 2010 competitions, please click here. Complete listings of finalists and semi-finalists in The American Prize competiations may be found on our blog. 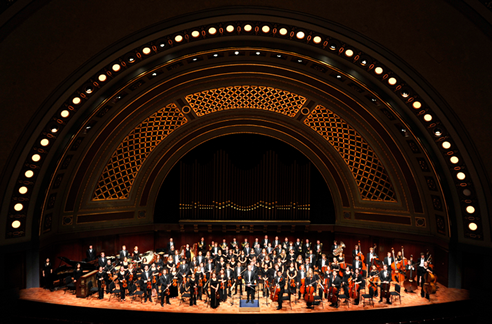 The University of Michigan Symphony Orchestra, one of the world’s leading student orchestras, has recently won two ASCAP Awards for Adventurous Programming, and the Grammy Award for Best Classical CD. Led by Kenneth Kiesler since 1995, the USO presents a wide repertoire in eight programs and opera annually, and has recordings on Naxos, Equilibrium, and Dorian. 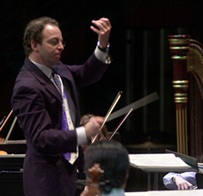 The 2008 tour included music of Mahler and Evan Chambers at Oberlin, Cornell, University of Pittsburgh and Carnegie Hall. Arlington High School is located in LaGrangeville, NY and Philharmonia is the most advanced of the four orchestras in the school. The program consists of one ninth grade string orchestra and three symphonic orchestras for students in grades 10-12, of which Ms. Elizabeth Handman and Mr. Jonathan Handman are the directors. In total, the program has over 250 string students and 75 wind/percussion members that join the strings every other day as their second ensemble in addition to the band program that they are members of. Arlington Central School District’s Music Coordinator is Mr. Joseph Szabo and the High School Principal is Dr. Brendan Lyons. 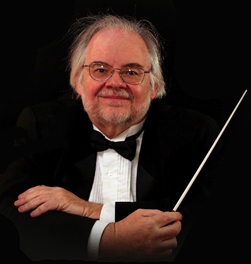 Kenneth Kiesler is an inspiring mentor to generations of conductors, through his teaching in Berlin, Moscow, Paris, England’s Royal Academy of Music, and his positions as Professor at University of Michigan, and Director of Canada’s National Arts Centre Conducting Program and Conductors Retreat at Medomak. He has conducted a dozen acclaimed recordings, many premieres by major composers and leading orchestras including the Chicago, Detroit, Utah, New Jersey, Jerusalem, Ensemble Orchestral de Paris and many others. *Among judges comments: "an astonishingly impressive, exciting, and convincing performance." 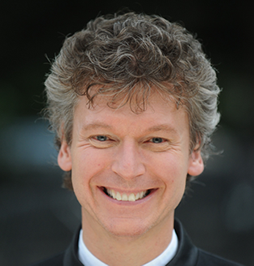 Christopher Ramaekers currently conducts the Orchestra of St. Vincent’s, the Hyde Park Youth Symphony, and the Ravenswood Community Orchestra in Chicago. 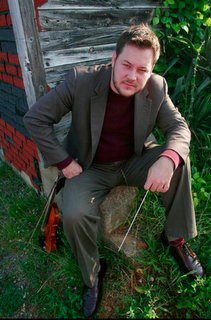 He has appeared with the Kalamazoo Symphony, North Shore Chamber Orchestra, Alice Millar Brass Ensemble, and the Palomar Ensemble. With the Chicago Opera Vanguard, Chris has conducted works by Mark-Anthony Turnage, Eric Reda, and Augusta Read Thomas. Chris holds a Masters Degree from Northwestern University, where he studied with Victor Yampolsky. Among judges comments: "Clear, expressive, devoid of distracting mannerisms." Among judges comments: "an outstanding educator, able to elicit musical and technical excellence from his young charges..."
The judging panel praised the LANCASTER FESTIVAL ORCHESTRA for performances "excellently prepared interpretively and very well executed." The judging panel praised the Mercury Orchestra for "obviously careful and thoughtful preparation...excellent interpretations." 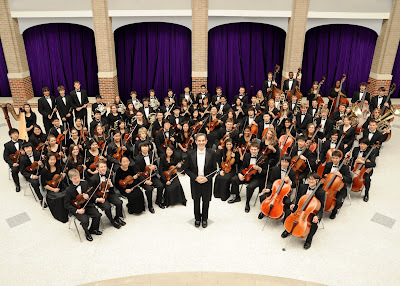 The Texas Chamber Group was founded in 2007 by conductor Wesley Schulz for the purpose of giving chamber sized orchestral concerts to the community of Austin, Texas. Featuring works from across the orchestral spectrum the ensemble has given successful performances of Mozart's Symphony No. 41, Milhaud's Creation of the World, Stravinsky's Rite of Spring, Torke's Adjustable Wrench, and Stephen Frost's Concerto for Bassoon, among others. The judging panel praised the TEXAS CHAMBER GROUP ORCHESTRA for a performance of Rite of Spring "excellent...astonishingly good...extremely impressive in almost every detail." The judging panel praised the Houston Youth Orchestra. "Strings have gorgeous tone and excellent musicality...an outstanding performance of Tchaikovsky's Symphony No. 5." The judging panel praised the Longmeadow High School Orchestra: "strings play with confidence and beautiful sonority...intonation is extraordinarily good...an exciting, cohesive sound." 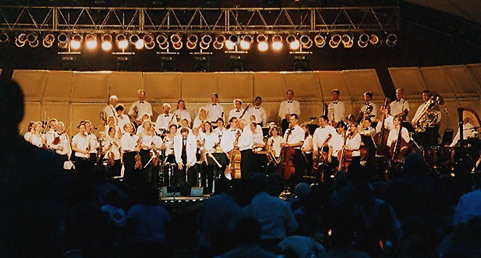 Gary Sheldon conducts the Lancaster Festival Orchestra which he founded in 1988. He is also principal conductor at the Festival at Sandpoint and he was recently appointed principal conductor of the Miami City Ballet. He is former music director of the Marin Symphony where he established the orchestra's first educational concerts, symphony chorus, composers competition and annual composers symposium. 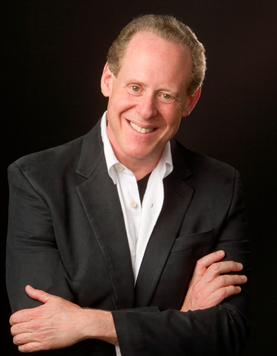 He is a native of Bay Shore, New York and a graduate of the Juilliard School. 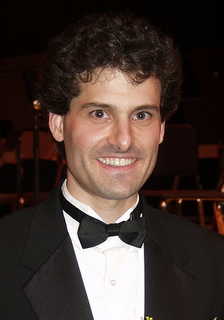 Ricardo Averbach, DMA is Director of Orchestral Studies at Miami University and President of the College Orchestra Directors Association, Northeast Division. Previously he was Music Director of the Echternach Festival Orchestra in Luxembourg, the University of Pennsylvania Symphony Orchestra and Wind Ensemble and the São Paulo Municipal Symphony Orchestra in Brazil. His discography includes several world premiere recordings, which have already sold more than half a million copies around the globe. 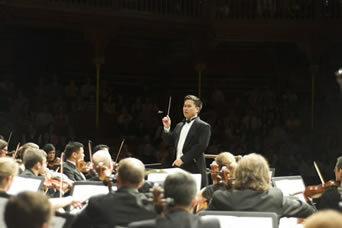 American conductor Channing Yu is Music Director of the Mercury Orchestra in Cambridge, MA, a post he has held since 2008. 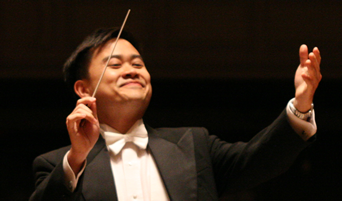 Maestro Yu also serves as Artistic Director and Conductor of the Lowell House Opera, the oldest opera company in New England, where he has conducted over thirty fully staged opera performances with orchestra. 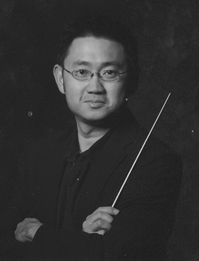 He has appeared frequently as guest conductor with the Westmoreland Symphony Orchestra in Greensburg, PA.
Tong Chen, a native of Shanghai, China, has worked as an assistant conductor at the Shanghai Opera House since 2004 and is now working as the assistant and fellowship conductor under the tutelage of Gustav Meier and Markand Thakar at The Peabody Institute. 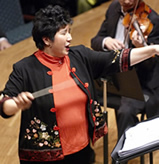 Ms. Chen has been an assistant conductor at the Central City Opera House, has worked at the Crabillo Festival with Marin Alsop and was a conducting fellow at the American Academy of Conducting at the Aspen Institute. 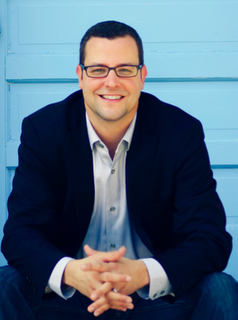 Clark Chaffee is Senior Director of Orchestras, Stevenson High School, Lincolnshire IL and Vice President / head of the Orchestra Division for Illinois Music Educators Association. He holds a Diploma from Interlochen Arts Academy a BME from the University of Michigan and an MME from Northern Illinois University. A student of Elizabeth Green & Margaret Hillis, he was Principal Timpani - Chicago Civic Orchestra, Elgin Symphony. The 2009/2010 season begins Everett's sixth as Music Director of the Bemidji Symphony Orchestra and her second as Music Director of the Bismarck-Mandan Symphony. 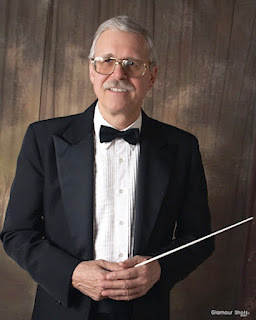 Everett previously served as Music Director of the Muscatine Symphony, and held associate conducting positions with the Waterloo/Cedar Falls Symphony, the Britt Music Festival, and the Hot Springs Music Festival. Everett holds degrees from Baylor University and the University of Iowa. 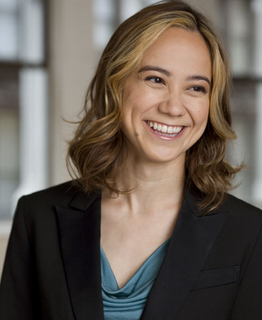 She also studied at the Aspen Music Festival. 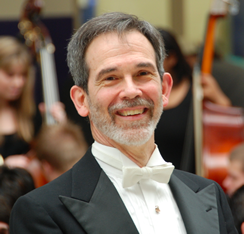 Howard Goldstein is Associate Professor of Music at Auburn University and Music Director of the Auburn Community Orchestra. 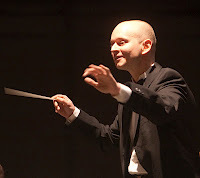 He is a regular guest conductor with the Red Mountain Chamber Orchestra in Birmingham and the Assistant Conductor of the Columbus (GA) Symphony, and has conducted orchestras in New York, Baltimore, Rochester, Hungary, and the Czech Republic. 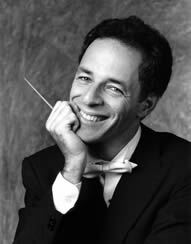 He holds degrees from UCLA and Peabody, and has certificates in conducting from the Conductors Institute and the Salzburg Mozarteum. 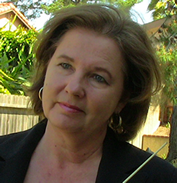 Nadezhda Potemkina, native of Saint Petersburg, Russia (BA in viola pedagogy, Herzen State Pedagogical University, St. Petersburg, Russia; MM in viola performance, University of Northern Iowa; MM in orchestral conducting, Ball State University), is currently pursuing a Doctoral degree in orchestral conducting at the University of Memphis under the direction of Dr. Pu-Qi Jiang and conducts the newly founded Mid-South Young Peoples Symphony Orchestra in Memphis, TN.